This meal started out as something different altogether! I was going to follow a recipe I found but didn’t have oranges although I did have lemon and lime juice. It also started as any normal meal but half way through prep time, I decided to make it low-carb friendly. 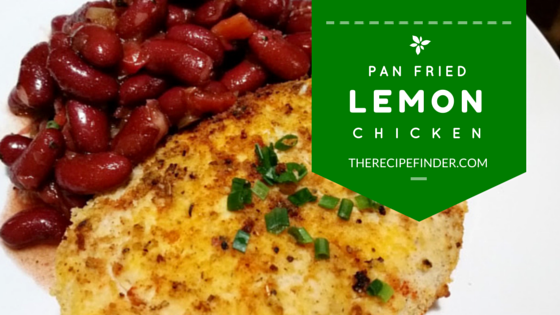 Yes, admittedly the plate in the picture is not low carb because of the beans but if you’re preparing other types of side dishes, definitely give this pan friend lemon chicken a try. Split chicken breasts length wise. 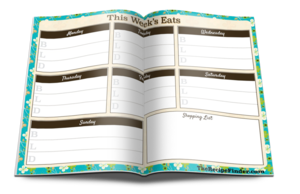 This makes the chicken thinner and easier to cook. Between two sheets of cling wrap, flatten with a meat mallet. Put cut chicken in a mixing bowl. Add lemon juice, lime juice, garlic powder, Italian seasoning, seasoned salt to the chicken. Mix well and let marinate in the refrigerator for at least 2 hours. In a deep plate, mix coconut flour, almond meal and salt. Heat oil in a pan. Dredge chicken in flour mixture and transfer into frying pan. If you like it really seasoned, you can add just a dash more pepper, salt and paprika to the chicken now. Fry till cooked and nicely browned on both sides. When done, frying, add 1/2 cup of white cooking wine to the hot pan, begin deglazing the pan and turn the heat down to low. Add water a little at a time as you deglaze until you reach a consistency you like. Serve chicken with optional sauce poured over.